OPINION: Honestly, Where The Hell Is The YouTube Gaming Community? If I'm not writing content for this website, you can 100% find me watching YouTube videos about video games. Whether they're critiquing them, playing them or just throwing them out windows, I'm so deep into that YouTube gaming community it's like a second home to me. However, I noticed something the other day... I literally could not tell you more than 20 gaming creators off the top of my head, if I'm allowed to be painfully honest. Even though, for many many years, I have watched thousands of hours worth of content surrounding video games, I know extremely little about the community on YouTube and their incredible variety of creators. So I've done a little bit of digging into why I think the entire community has missed my field of vision in the hopes that it can help illuminate some general problems with the way YouTube helps promote its creators. Let me know what you think in the comments below - I'm proper keen to have a geeky chat with y'all! If you didn't already know, gaming is one of the most popular and profitable genres on the entirety of YouTube. By a long shot. With 5 of the top 10 YouTubers all gaming creators (and up to 3 of the rest actually dabbling in gaming content from time to time), it's clear that the world of video games has a huge affect on the platform - but why is it still so difficult to find "up-and-coming" gamers? First case and point; the adorable idiots in this photo below. Between these 11 goofballs (Dodger and Marzia aren't photographed, but are still part of the Revelmode crew), is a combined total of 102,485,987 subscribers - assuming that one person isn't subscribed to each of them. That's a frankly absurd number, and considering that Dodger has the "lowest" (if you can even call it that) subscriber count between them all at only 816k, it's fairly clear that this supergroup of YouTube gamers are the A-Listers. Because people like PewDiePie and Markiplier are so prevalent when it comes to mainstream media press coverage and their opinions on video games is hugely influential, it's hard to avoid their content. Typically you can expect to see one or more videos from the Revelmode "Talent Squad" on your recommended page on any given day, meaning that very few other gaming creators have the opportunity to get trending for the same game; but we'll talk more about this in the next category. So let's round this up with a topic no one really wants to talk about; money. If you're a company with a massively popular video game and you want to market it out into the world, who do you get to promote it? 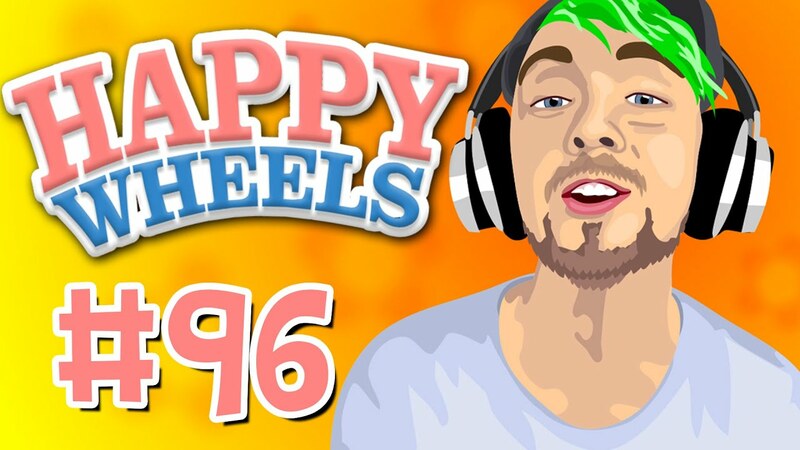 Do you ask Mr Brand New Channel with 16,000 subscribers, or beeline straight for JackSepticEye and his 13.4 million strong Boss Army? The answer's simple, and it works to promote the video game and the creator in turn. That's why when gaming creators "break out" with these huge deals, suddenly they can be propelled into the A-List. Ask anyone on YouTube, and they'll tell you that one of the most important qualities to a YouTuber is not just confidence in front of a camera and a unique personality, but the ability to self-promote. Now we're not talking about peacocking here, but more so the ability to tell other people about your content and making sure it's seen by the right audience. But when you've done enough promoting for one day, one of the best features on YouTube is the function to allow creators to recommend each other - this is the only way I've been able to spot new creators. Yammy, a fantastic British YouTuber with 731k subs, has a recommended tab full of her friends and creators with a similar style/gaming aesthetic to hers. Whilst she might be the biggest fan of PewDiePie in the world in her free time, she has opted to promote these typically "smaller" channels to her audience, with all of them totalling a combined audience of 4.6 million subs. Thanks to obvious reasons as to why people like Emma or Felix get trending on Twitter, sometimes it can be difficult to find new gaming creators on YouTube unless you go down a rabbit hole of clicking through people's "Recommended Tab". Because of this, it can often feel like the YouTube gaming community is very clique-based, with the A-Listers working and recommending creators exclusively in their squad, almost like a business, whilst smaller creators are free out of the public eye to engage and work with a multitude of other YouTubers. Basically, I just think channels like PewDiePie need to kickstart their shoutout initiatives again. Check out this video above if you haven't already, where in 2013 Felix recommended 10 channels to his audience of MILLIONS. About two minutes into the video, he starts to talk about a channel with only 2,217 subscribers - and it single-handedly launched JackSepticEye into one of the most popular YouTubers on the whole damn planet. THAT'S the kind of community we need to see more of. It's All The Same Content. If I may speak candidly for a moment, as somebody who absolutely adores video games... the main problem is that gaming videos all look very similar. Take beauty YouTube for example; there can be millions of unique videos about drawing on the perfect winged eyeliner, or how to colour match your skin tone to your foundation. HOWEVER, you can only see so many videos playing through the same mission in Grand Theft Auto before you get bored. Fashion, beauty and even music YouTube is all so beautifully varied and wonderful, whereas the people PLAYING the games seems to be the only thing unique to gaming on YouTube. From a personal perspective, if I want to watch a video about retro video games - I'll go watch a JonTron video because I know that's precisely what he does and I enjoy his sense of humour. If I want to find out how to match the perfect denim jacket to my shoes - I'll type that into the search bar and watch whomever is talking about it. I feel that once you've found a gamer whose sense of humour and play-style you like, it's very difficult to stray away from them. I don't need to see 15 people play Life Is Strange, but I'll happily watch every single playthrough Emma Blackery does with the game. Also, when you type specific titles into the search bar such as Call of Duty and World of Warcraft, it's very difficult to gauge the type of personality behind the thumbnail, making it even more difficult to widen your horizons and make that click. Furthermore, with YouTube's new algorithm focusing more on engagement, if you type Minecraft into the site you're likely to see only the most engaged and popular videos/creators up on the top, before you dig deep enough to find smaller creators playing the exact same game. With games being so static, it's quite easy to be passive when it comes to exploring for new creators to watch - so it's probably easier to settle on the most popular channels as hey, they must be doing something right?! So, In Conclusion: Honestly, Where The Hell Is The YouTube Gaming Community? It's there. The gaming community on YouTube is 100% alive and well, but they're being severely under-appreciated. It's just very difficult to find at times because everyone is talking about the likes of Felix, Mark and Jack - which is okay too. All I want to say here, really, is that communities are hugely important when it comes to making YouTube the platform it is today. I know I'll be going out of my way to track down new creators and broaden my network, will you be joining me? Challenge yourself to watch somebody new: You may have watched a video of your favourite gaming creator collaborating with someone, so go watch THEIR channel now! You might surprise yourself by finding your new favourite gamer. Use YouTube search functions more: Instead of waiting for your fave to play a game you need to know about, go looking for other communities deep into that title. PewDiePie may have had a couple videos on Grand Theft Auto, but there are entire channels out there dedicated to the most niche GTA content in the world. And finally, if you're a YouTuber, promote channels more: You don't have to work with them, you don't have to put them in your recommended tab if you don't want to, but try tweeting about them or linking them in your bio. Spread the love and karma will come back to bless you.